At about 7 this morning I was outside shoveling roughly 5 inches of snow. This was probably the seventh time this winter that significant snowfall called me out, interrupting coffee or wine or whatever I could have been drinking while watching another movie. As neighbors and friends were bitching and moaning about more of the white stuff, I have to admit – I had myself a very good time. I don’t mind snow. Well, the snow itself, I don’t really need so much, but there are things attached to snow that are far more comforting than the pain of shoveling, scraping, and slushing. Of course, it’s a childhood thing. 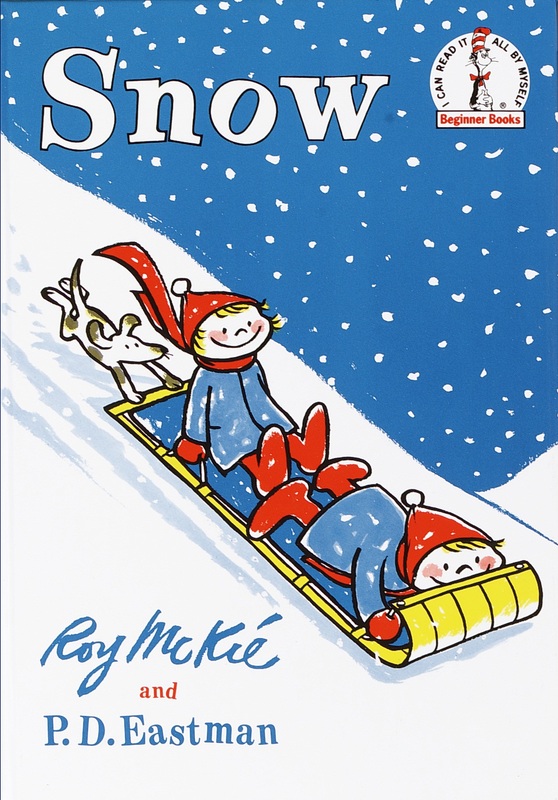 The first book I can remember reading myself was Snow by Roy McKie and P.D. Eastman. I remember exactly where I sat, the living room floor, as I read the story and showed the pictures to my younger sister. 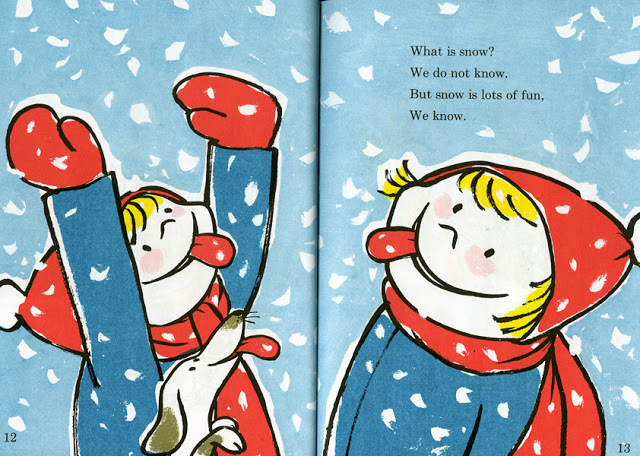 I also clearly remember mispronouncing the K in “know” so it sounded like “k-now.” I remember easily imagining myself as one of the kids in the book as I read it more often than most kids might read one specific book. Now, back to the real snow. Have you ever been in a diner for breakfast or a convenience store for coffee on a snowy morning? If not, make an effort next time because here’s what you might be missing – friendly, happy people who are more engaged in conversation than most any other day. Why? Because people are friendlier when they share something. When we have common ground on which we stand, there’s a camaraderie that pervades us as soon as we see someone else pulling off their gloves and hats, unwrapping a scarf before sitting down to a fresh cup of coffee. It’s like being in Yankee Stadium about ten minutes before first pitch, when everyone in your section is stocking up on beer, peanuts, and hot dogs. The national anthem has just ended, that day’s starter is finished with his warm-up’s, and the first batter knocks the weighted donut from his bat before walking up to the plate. Everyone is on the same page, dressed in the same colors, and ready to work as one unit for about two hours, forty-four minutes. I’m an oldest son but not a first-born child. That would be my sister. To be a first-born and a son would have been too much pressure for me to handle, so I’m thankful I was second. A first-born son has two obligations: be a fabulous athlete and eventually take over some of the father’s responsibilities, which can be both good and bad. Luckily for me, my older sister took care of the athlete obligation. Unluckily for my father, I moved out of the house too quickly to take over his more difficult responsibilities. One of the first jobs the oldest son assumes is taking out the trash, which was not a fun one so I’ll stick to the fun ones. The first fun one was at Christmas, specifically it meant assembling and decorating the artificial Christmas tree. I suppose it would have been more difficult had we gotten real trees, so there isn’t much to complain about. Shortly after that, I was able to help with the outside Christmas decorations and lights. This goes back to the 70’s, when all Christmas lights were real, glass bulbs. Considering how “frugal” my father was and how he freaked out over spilled milk – literally – I handled those glass bulbs with more care than my own teeth. Another job I was eventually given was to distribute candy on Halloween. While I’m not exactly sure what finally qualified me to do so, I felt rather official as I stood at the door and next to a small table on which sat the official bowl of goodies. Just so happened I was wearing a very cool police officer uniform that year. Now that I think about it, the costume included sharp-looking goggles, so it must have been a kind of highway patrol outfit. I’m pretty sure that was third grade, and I’m struggling to remember if my sixth grade costume caused me to lose the title of deputy candy distributor. I slacked off that year, couldn’t find a costume, so I borrowed my sister’s cheerleading skirt and sweater. I know, I know. Get back to the snow. My guess is there are few kids who didn’t love a father-kid moment. I’m using “kid” instead of “son” because daughters should be included too. When your father invites you along to do something important, it instantly makes you important too. When my father was changing the regular tires to snow tires, it didn’t matter that all I did was hand him the tire iron and hold it for when he needed it next. I was still the one holding and helping. So when he was pulling on gloves, coat, and boots while the snow was falling and I was staring out the window wishing it was a Wednesday instead of a Saturday, it didn’t matter that I was about to suffer cold, wet, physical exhaustion. It was important exhaustion. I was helping make the sidewalks and steps safer for others. If friends were pulling sleds up to the cemetery with the best hills, I know they were going to have a great time. Go right ahead, guys. Dad and I are doing something important. It allowed me to feel as if my brothers, sisters, and mother were depending on me for something. Mom, please have some tomato soup and grilled cheese ready for when we’re finished. Kids, you watch cartoons without me. I’m needed for something. That experience is probably why I’m very willing to stop when I see other cars in trouble. Can’t tell you how many times I’ve jump-started someone or pushed someone stuck in the snow. However, not every snow experience has been a good one. In college, my apartment was in a town that did not allow on-street overnight parking. All vehicles had to be in a driveway or garage because it allowed the police to more easily patrol the streets. I had to park my car on a street about a mile away in the next town, and each day walk back and forth when coming or going. One particular winter morning I woke up to about six inches of snow, maybe more. It was about 1984, there was no internet, so I couldn’t be certain if classes were cancelled at my school, which was up on a mountain about a half hour away. I was happy to just leave the car where it was and enjoy a snow day, but I had a roommate who thought differently. She took school more seriously than I did, and she “ordered” me to fetch the car and get ready for school. So, it was time to do something important. I wrapped up in gloves, scarf, coat, all that and started walking. It was a very peaceful morning. No sun, still some flakes falling, but the snow on the ground was like sound proofing material, and all was quiet. Too quiet. As I passed a driveway lined with a brick wall, I wasn’t able to notice someone else out for a walk that morning: a skunk. I might have taken half a stride before I saw the critter spin, aim, and fire. It was my first time being “skunked,” and I didn’t like it. I rolled around in the snow attempting to wipe off the spray, but I don’t think I had much luck. I was halfway to the car and had to decide whether to continue to head back to the apartment. I expected my unreasonable roommate/girlfriend/future-ex-wife was only going to send me back to the car, so I continued on. The road in front of the apartment building had not been plowed yet, so it wasn’t easy trying to weasel the car into a parking space. About halfway in, the car stalled. I wasn’t blocking traffic, but I wasn’t exactly parked either. I trudged up to the apartment, opened the door, and watched the cat freak out at the skunk smell. The girlfriend wasn’t all that happy either. 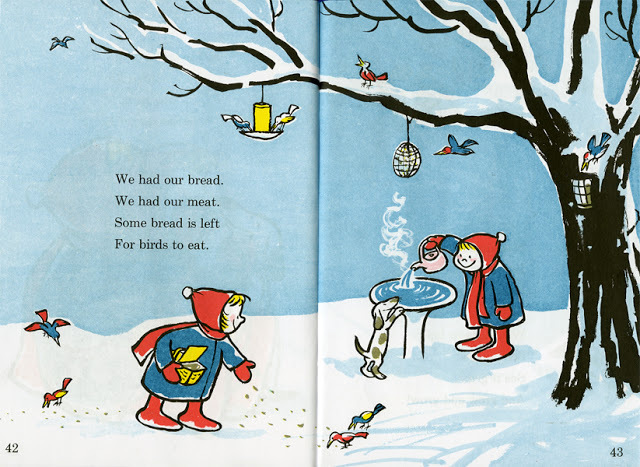 She threw some clothes and quarters to me, and, as I headed for the basement laundry room of the building, she informed me that a school closing had been announced on the radio. Yay. Overall, it wasn’t as bad as I expected. Having been so wrapped up in winter clothes kept my skin nearly fully covered, so it was only my clothes that needed treatment. It actually turned into a school day. I enjoyed a lot of hot chocolate, and I had a good story to tell about snow, school, and a skunk. So today, after another round of shoveling, I’m still smiling. After shoveling, I drove out to get bagels for me and my kid. Then I cooked some bacon as she got ready for school. Then, once she walked a whole 150 yards to school, I poured myself some coffee and sat down to type this. Yup. As long as it keeps snowing, I’ll still be important. Kinda. I remember going across the street to the golf course and sledding. One year we had to much snow that my parents shoveled paths all around the backyard so we could walk around. We build snowpeople 🙂 and snow forts and had snowball fights. The latter are probably against the law now in case someone gets hurt. As I got older, I learned to ski and indulged in that pursuit whenever possible. I like to shovel snow and I, like you, have helped more people than I can count get their cars out of situations they should never have been in! Really enjoyed this, Rich. while writing this, there were several times when you came to mind. i had a feeling you’ve had some fun snow experiences. i’m glad i was right. thanks. One of my favorite “adult” experiences is digging cars out or even rocking them so they’ll finally come free. It’s fun to help people but I often wonder what the heck they were thinking to get where they are!! about 12 years ago i lived in an apartment complex in which we did not have assigned parking spaces. after a rather large snowfall, there were about seven people digging out cars. so we joined together for a digging party. i’m sure we didn’t dig any faster when you added up the time for each car. but the close conversation and the making of new friends made it much more fun and productive. two big games today. russia/finland on now. Whilst my snow memories don’t go as far back as yours (that isn’t an age jab, I promise), all the ones I do have are full of excitement and wonder. 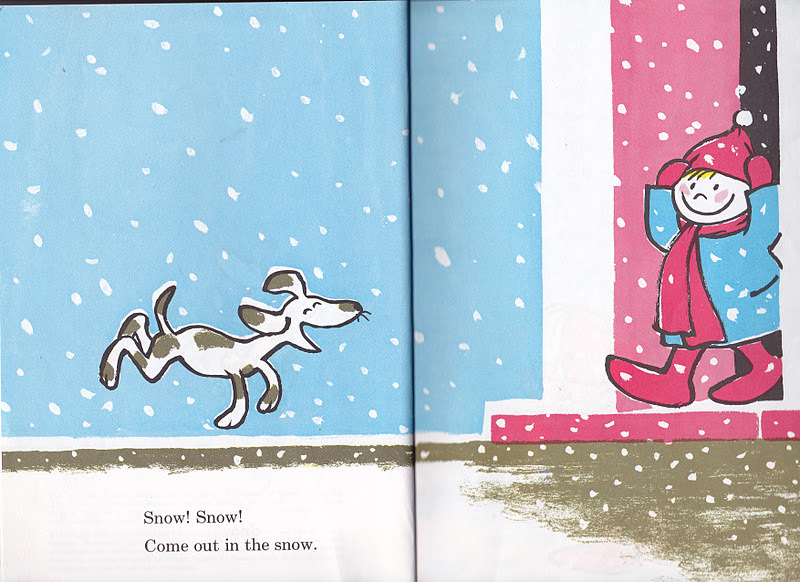 I remember determining that you could tell those who had truly lost touch with their inner child when snow came around. That was probably a bit overgeneralized and judgmental, but I personally still haven’t lost my love of snow, even after a winter giving me several feet of it. Sometimes we all need our lives to be interrupted and schedules thrown off. yes, agree about being thrown off sometimes. when we keep to certain schedules and routines, there are positives, such as efficiency, but there are negatives, such as not realizing what might be happening outside of that routine. we might be missing good things because we get too focused on a certain routine. 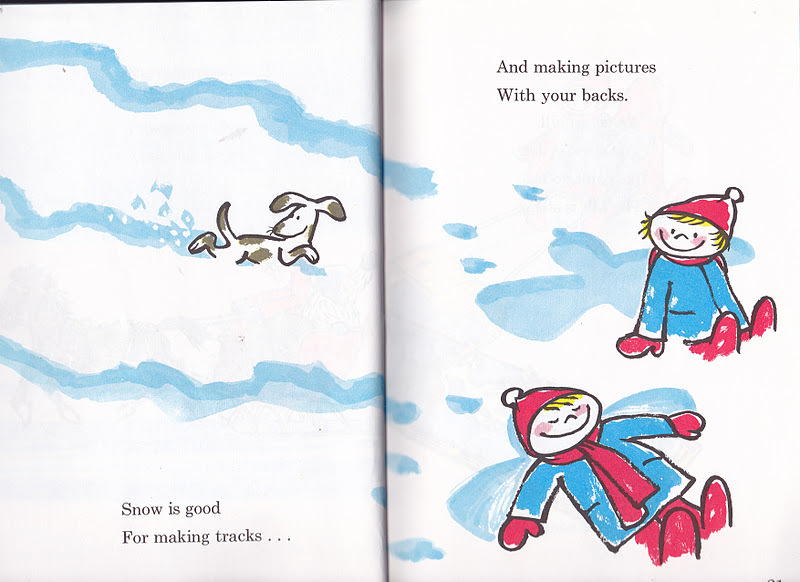 keep that love of snow and of childhood. it will always come back to help you smile when you need one most. It’s been a while because I’m preparing for a move … nonetheless, when important things come to my attention, I must pass them along … RM alert … .jeans. i’m on it. be well. I saw a standing pose …. which deserved a rewind followed by a pause.